We have night and weekend appointments as well as new video visits available to fit your busy scheduled. "Dr. Nichols is fantastic! He always takes his time and thoroughly explains everything." "Dr. Nichols has a very high level of expertise. I highly recommend him." "We are very grateful to have Dr. Nichols as our daughter's podiatrist/surgeon." "Dr. Nichols is kind, compassionate, listens to you, and is professional." "Dr. Nichols is great, always provides options, treatment, listens, and is caring." 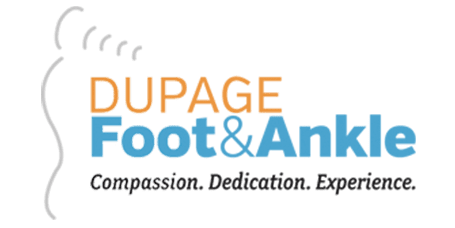 "I cannot say enough about Dr. Nichols and the entire staff at DuPage Foot & Ankle!" "I would recommend this practice to anyone I know. Five stars!" "I saw Dr. Nichols after a sports ankle injury and have been thrilled with the results." "Dr. Nichols makes you feel so at ease, kind, caring, and just a terrific person."